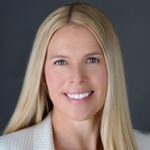 Kim Dallin has over twenty years of experience across the payments industry, previously serving as a relationship manager for companies as varied as startups, independents sales organizations, and large payments acquiring banks. She helps clients by identifying opportunities for greater procedural efficiency and reduced merchant and interchange fees. Once identified, Kim uses her skill as a manager to implement the opportunity, provide hands-on training, and establish evaluation metrics.